A compact but very functional training equipment - the Darwin Power Tower. Thanks to a multitude of exercises, which are controlled by your own body weight, you can create a varied and diversified training. Train arms, back, abs, and legs effectively - without mounting weights. Control and dose the intensity of your workout individually. Due to its compact dimensions, the Darwin Power Tower is the ideal equipment for home use. The Darwin Power Tower offers you many different exercising possibilities. 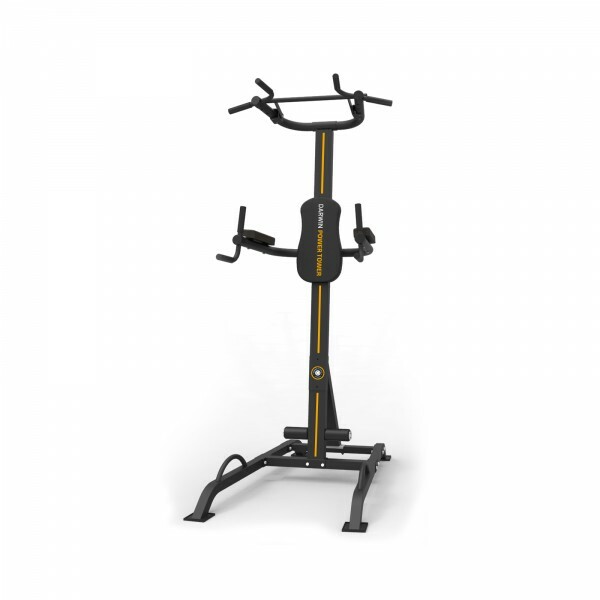 The Power Tower is especially ideal for torso training. It offers a chin-up bar, a dip module, and push-up handles. The arms of the dip module can be foled up, thus you can do your chin-ups without obstacles.